How is radiation measured? What is SAR testing? Governments use SAR testing to approve all new models of mobile phones before allowing them to be sold within the country. S.A.R. stands for Specific Absorption Rate and measures the amount of mobile phone radiation that is absorbed into the head or body of a simulated test dummy. It is measured in units of watts per kilogram (W/kg). The higher the SAR, the more radiation is absorbed. Australian (and European) standards limit SAR to 2.0 Watts of power absorbed per 10 grams of body tissue for phones sold here (US standards are 1.6W per gram). 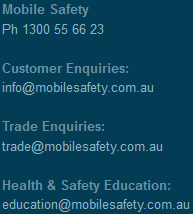 These standards prevent mobile phones from causing detrimental heating effects. Other health effects are not considered by these standards. The video below shows a SAR measurement robot in action. Today’s most popular mobile phones and their SAR levels (search for your phone name, lookup the “misc” specification and read off the US or EU SAR figure). 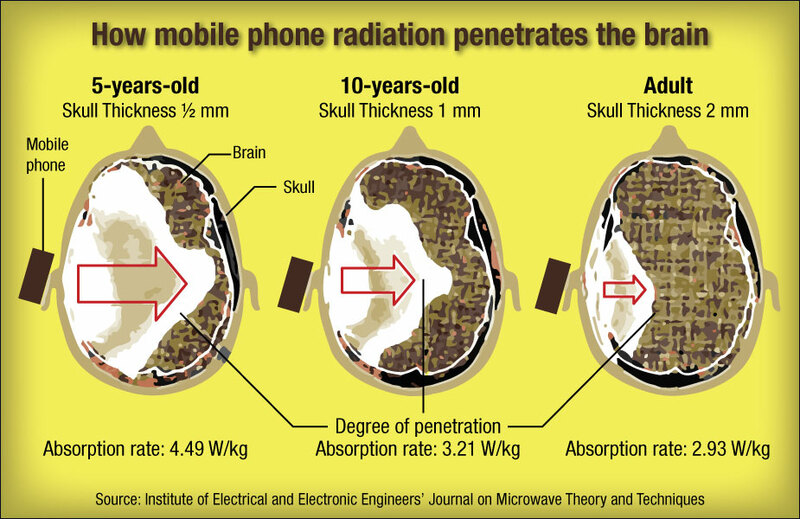 The above image shows the penetration of electromagnetic radiation from a cell phone based on age. For children, mobile phone radiation absorption is much deeper and greater as radiation is more easily able to go past the ear and into the head since a child’s ear and skull is thinner. Studies show a doubled (200%) increase risk of brain tumours for adults using mobile phones half an hour per day for ten years however children and teens using phones under similar conditions have a fivefold (500%) increase in risk.